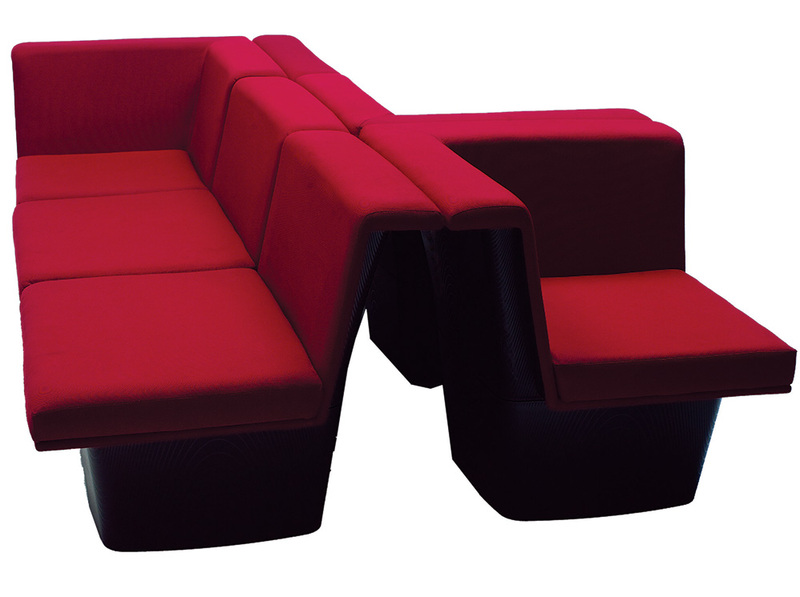 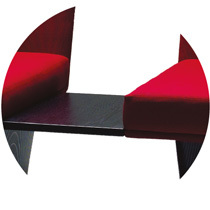 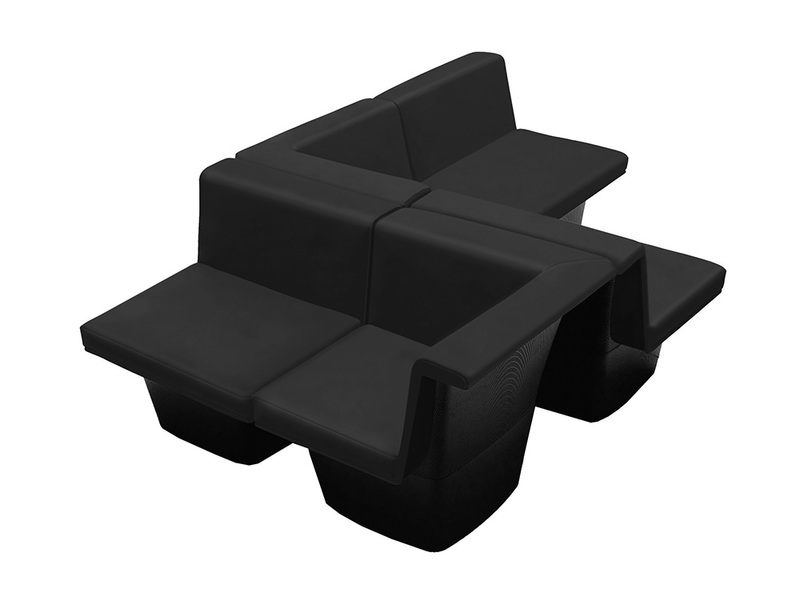 The Domino lounge system is based on a Corner module and a Linear module. 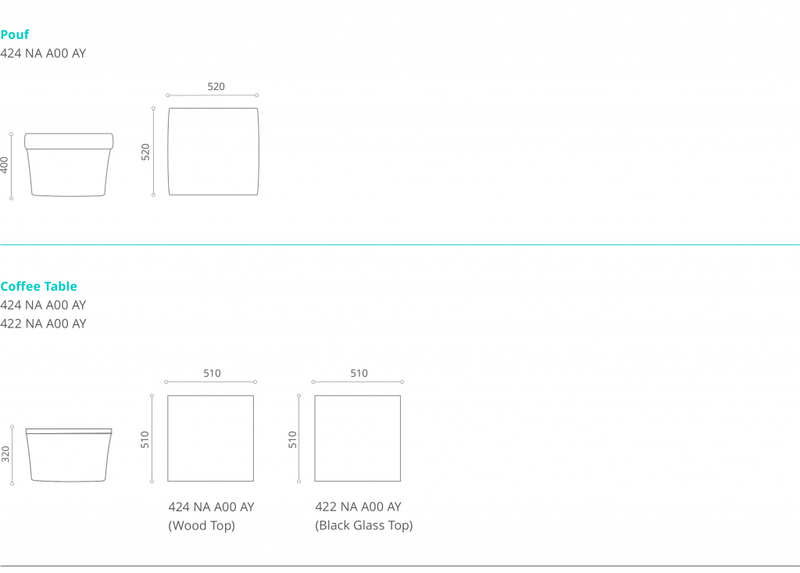 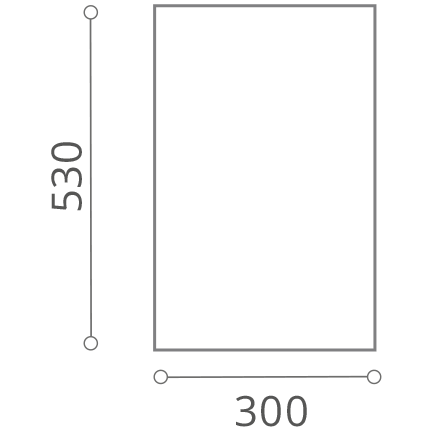 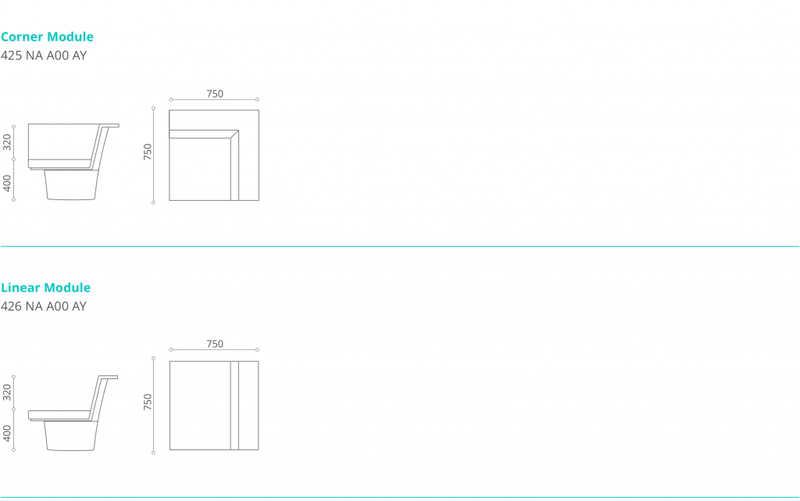 By simply using these two modules, one can configure an infinite variety of layouts, from basic row seating to unique creative designs. 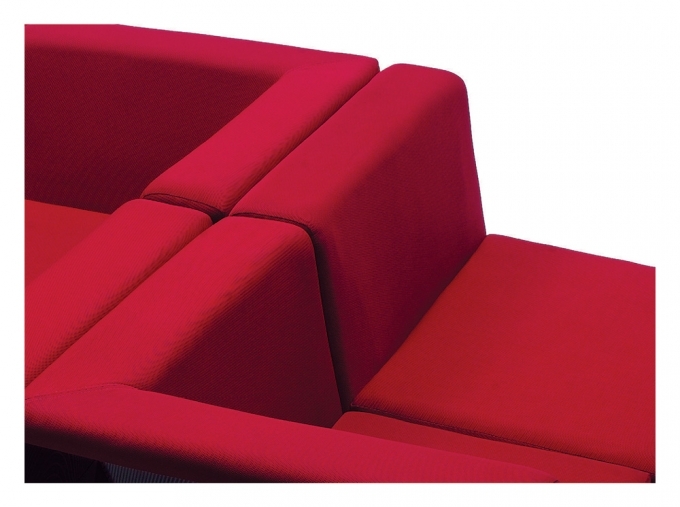 A large seat installation resembles a fascinating terrain of textile cushions. 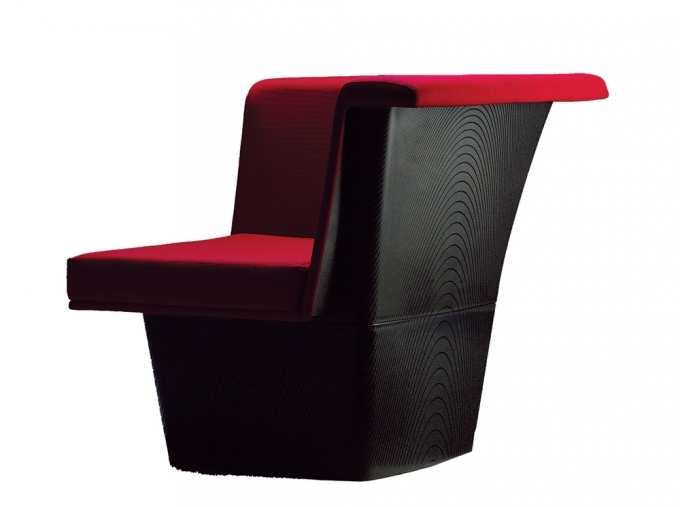 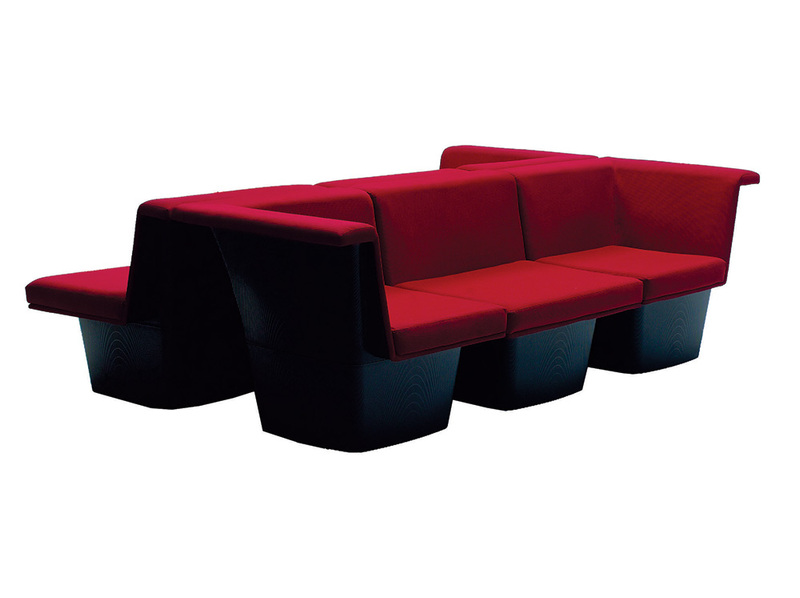 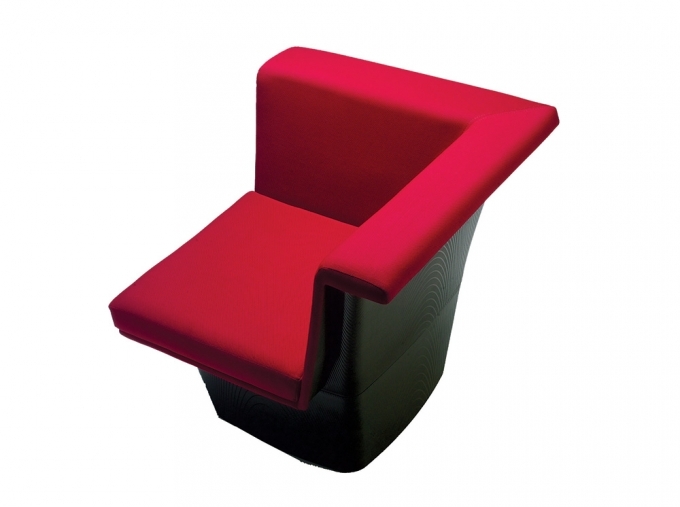 this sharp looking system is perfect for semi-casual writing, breakout or entertainment areas.